MOSCOW, October 16. /TASS/. 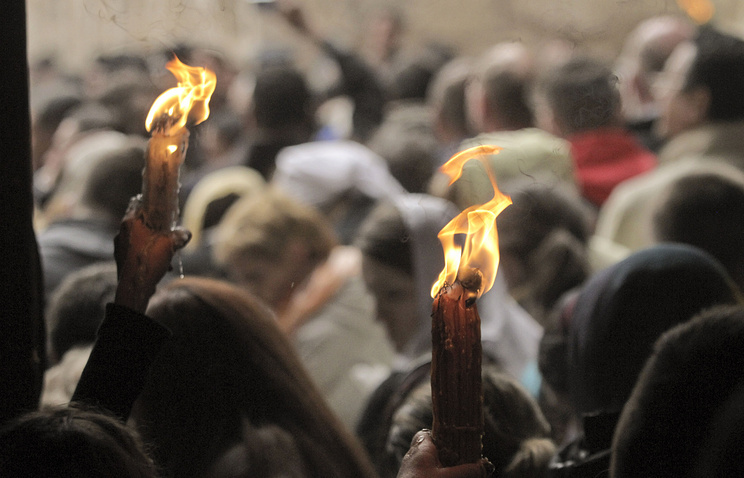 There will be no difficulties with delivering the Holy Fire from Jerusalem to Russia during Orthodox Easter. However, after the rupture of all relations with the Ecumenical Patriarchate of Constantinople, the arrival of sacred items from that Church in Russia will hardly be possible in the near future, spokesman for Patriarch Kirill of Moscow and All Russia, Priest Alexander Volkov, told TASS on Tuesday. "Bringing sacred items is an act performed by a joint agreement between the two Churches or their individual dioceses. I doubt that one can talk about such agreements with regard to the Church of Constantinople, while there will be no difficulties with other Churches. The Holy Fire is brought from Jerusalem, from the Patriarch of Jerusalem. 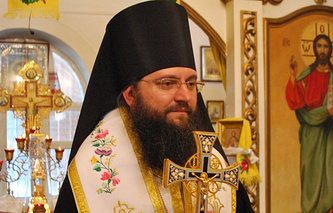 There is no connection whatsoever with the situation between the Moscow and Constantinople Patriarchates," he said. On Monday, the Holy Synod of the Russian Orthodox Church said full communion with the Ecumenical Patriarchate of Constantinople was no longer possible. The move came in response to Constantinople’s decision to grant independence to the Ukrainian Church and revoke the 1686 decision to transfer the Kiev Metropolitanate under the Moscow Patriarchate’s jurisdiction.